Bio Terra Plus is an organic pre-fertilized substrate developed to give professional results in Marijuana cultivations. Is comprised of 100% top quality natural elements. Besides that, Bio Terra Plus is also a natural flavor enhancer. Bio Terra Plus is an organic pre-fertilized substrate developed to give professional results in any Marijuana crop. Noted for its top quality substances, including superior blond peat, a fiber hard to find. The porous structure of this is enhanced with pieces of bark, which provides a natural anti-mold effect. 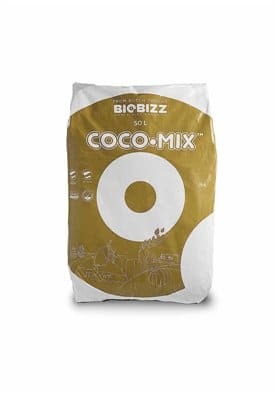 Bio Terra Plus contains also top quality sterelized coconut, that protects the land from infections without compromising the microstructure of the earth. Moreover, the substrate contains a premix of certified organic ingredients such as bat guano, bone meal and several other trace elements from natural sources. Since Bio Terra Plus is a pre-fertilized substrate, the plant can absorb the desirable nutrients needed leaving the longer nutrients in the same substrate. This ability makes Bio Terra Plus and regulator of the nutrition from the plant. Besides that, Bio Terra Plus is a natural enhancer of taste and aroma since it contributes to increase the formation of fructose which will make your Marijuana to be much more aromatic and tasty. In short, Bio Terra Plus provides a certified biological fertilization to your plants, enriched with beneficial bacteria and microorganisms that strenghten them reducing also diseases and improving their nutrient uptake.